LABoral Centro de Arte y Creación Industrial and the olorVISUAL Collection are offering a grant for the production of an art project related to art, science and technology. 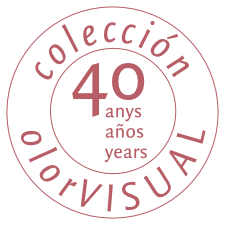 Open to European artists aged 40 and under, the competition is endowed with a grant 12,000 euros and the chosen work will be shown in an exhibition at the LABoral art centre in dialogue with a selection of works from the olorVISUAL Collection. The closing date for the presentation of projects is 10 March 2014.